Tuner ZERO Design has released an aerodynamic kit for the Lexus LX570 SUV. The engineers started with a 2015 model of the car and turned it in a veritable mountain on wheels. They added a humongous front spoiler with integrated DRLs, extended wheel arches, a giant rear wing, a massive rear apron with a diffusor, and an exhaust system featuring four end pipes and electronically-controlled valves. While these parts are the highlights, the kit also includes a slew of smaller parts that round up the design nicely. 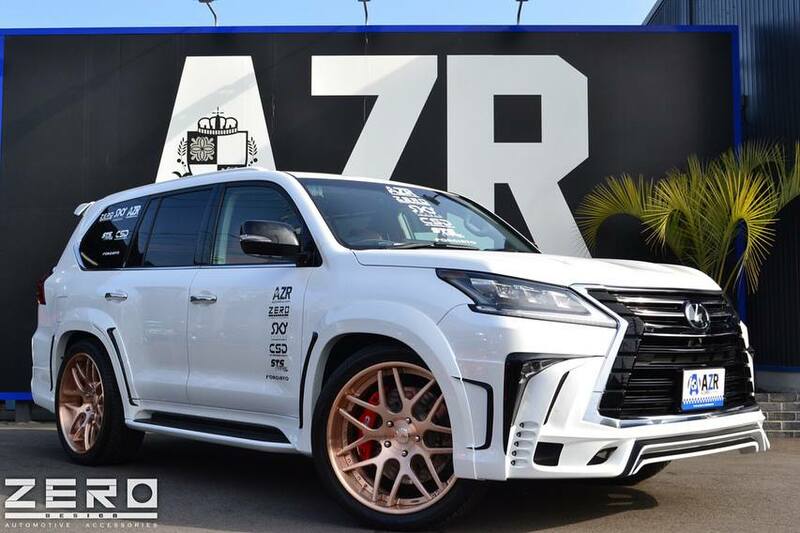 Alongside the body kit, ZERO Design offers custom wheel sets and lowered suspension with their Lexus LX570.